Invite some whimsy and eclectic charm into your life with Antartidee. Founded and based in Italy, much of the company’s allure is in their surrealist designs and quirky concoctions. Their original goal upon starting the business in 1986 was to craft original objects to personalize our living spaces – a mission that the company is still dedicated to more than three decades later. Every piece by Antartidee is crafted and decorated by hand, so you can be sure that you’re getting only the finest in Italian craftsmanship and quality. Antartidee – where eccentric designs and functionality meet. 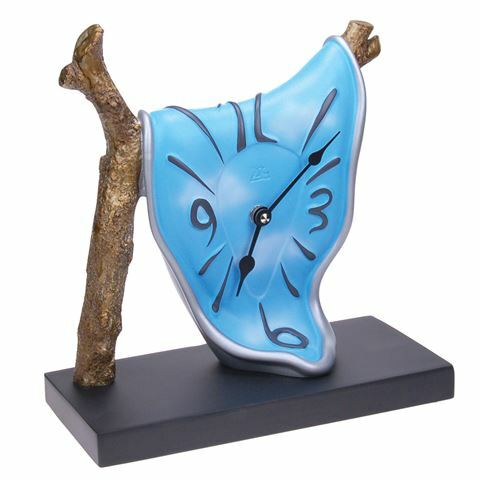 Features a surrealist design with a melting clock draped over a branch. Equipped with a UTS quartz mechanism. Dimensions: Approx. 23.8cm (l) x 25cm (h) x 11cm (w).